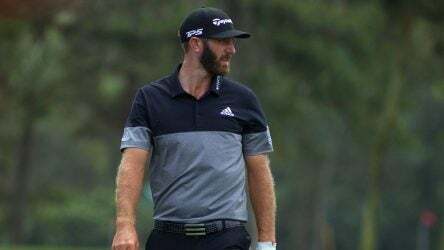 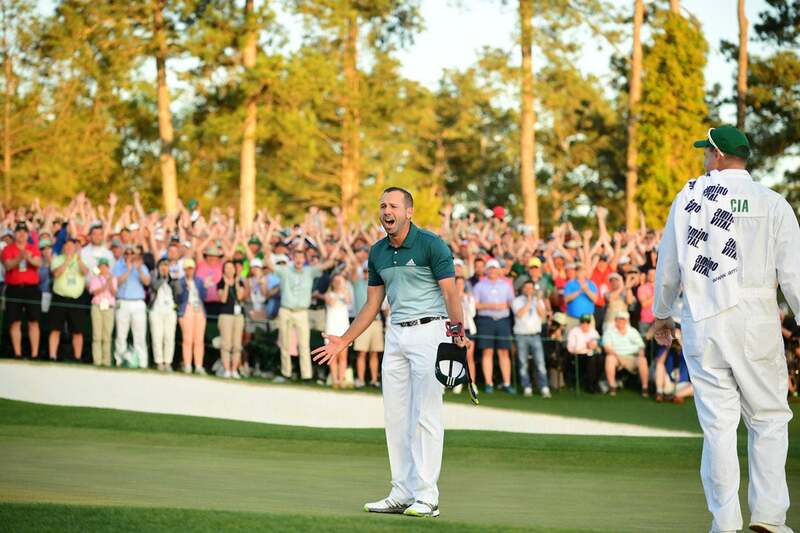 Sergio Garcia defeated Justin Rose in a playoff to win the 2017 Masters. 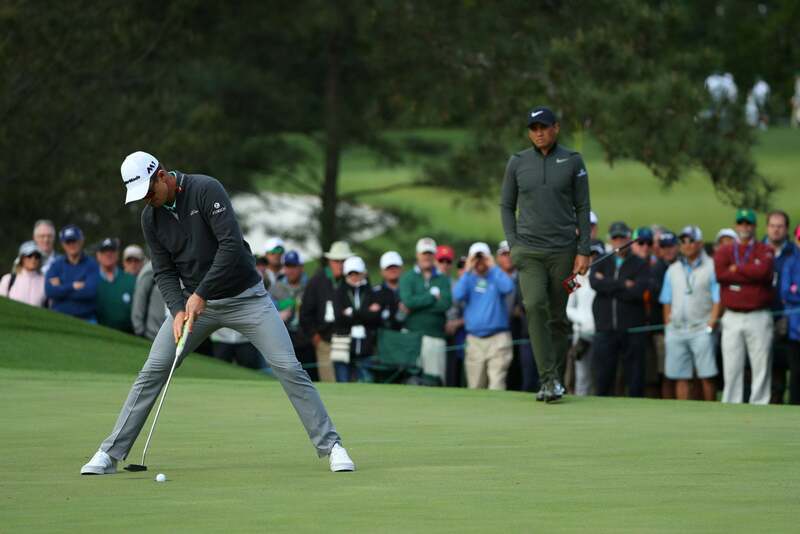 Garcia sank this putt to close out his victory on the first playoff hole. 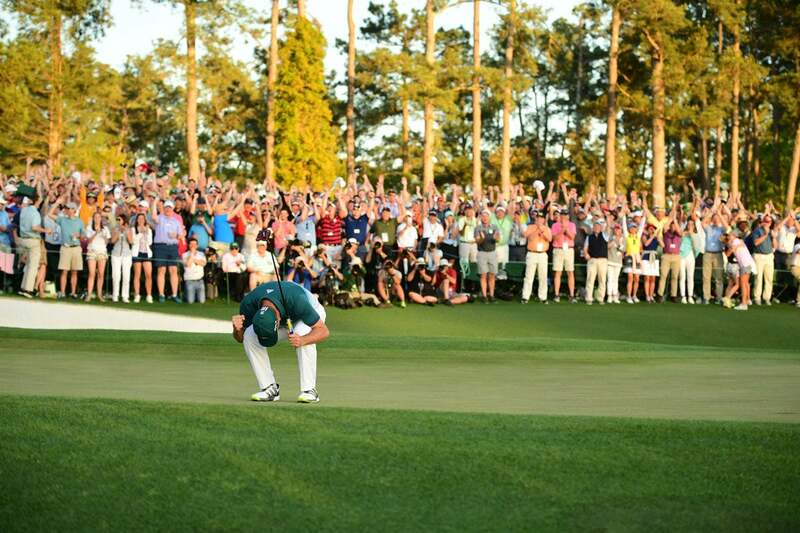 Sergio Garcia crouches down after making a birdie putt to win the Masters, his first major title. 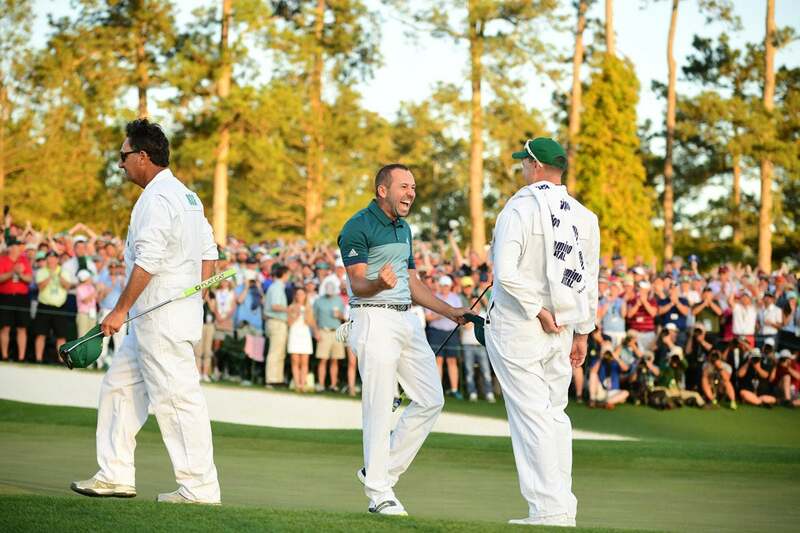 Sergio Garcia greets his caddie after the win. 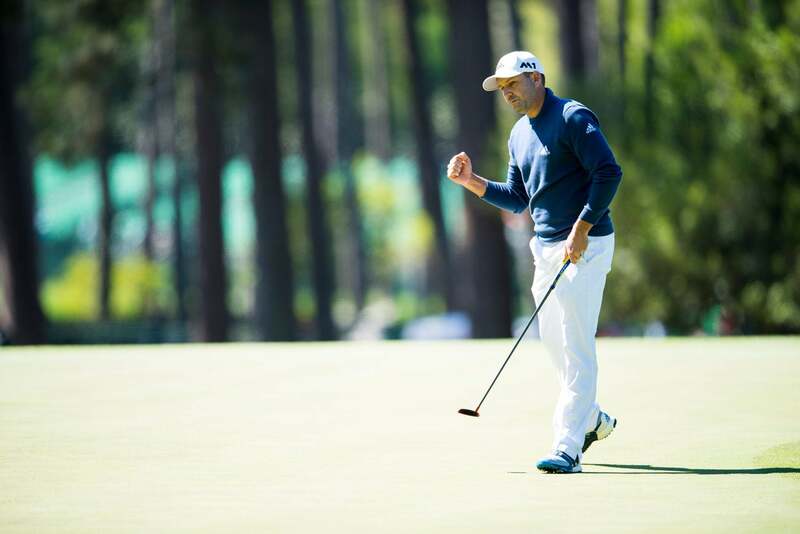 Sergio Garcia made a clutch eagle at the 15th hole to tie Justin Rose for the lead. 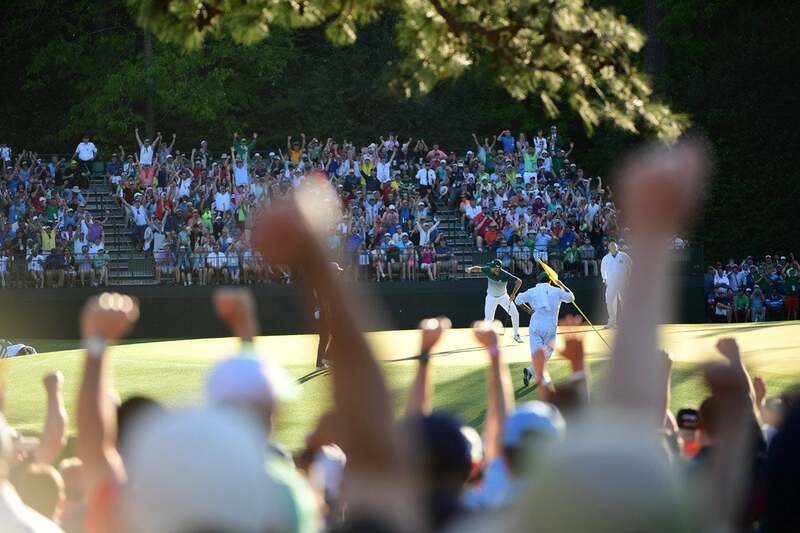 Justin Rose does a fist pump as his ball drops in the hole during the final round. 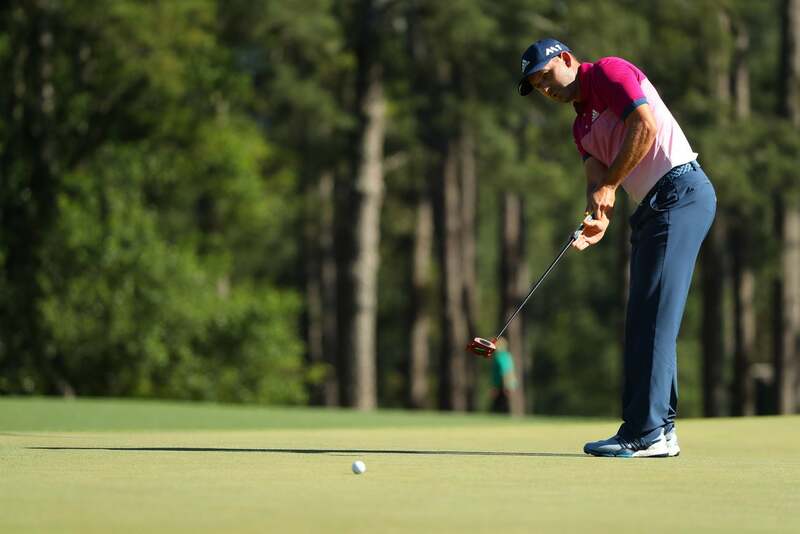 Sergio Garcia lines up a putt on Sunday. 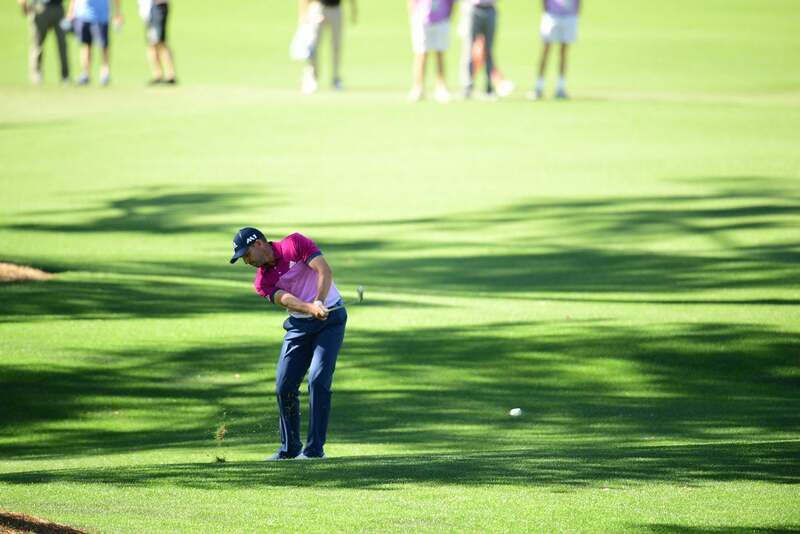 Sergio Garcia hits a chip shot during the final round. 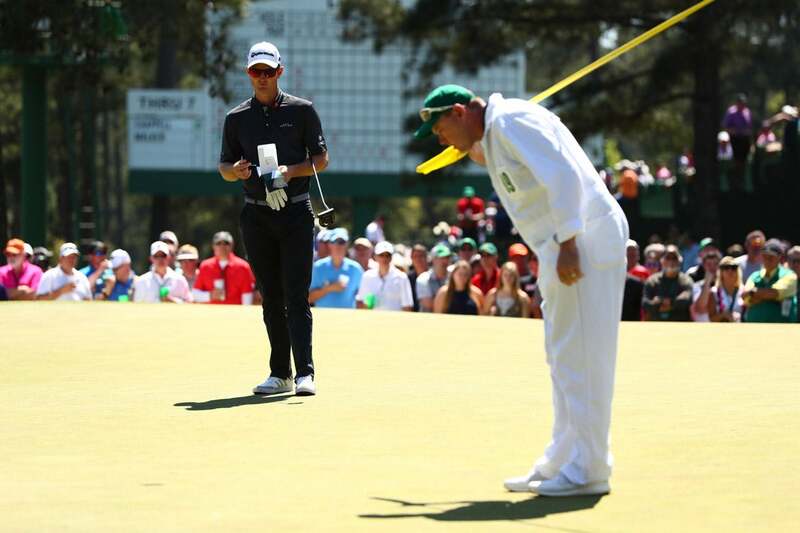 Justin Rose celebrates a made putt during Sunday's final round. 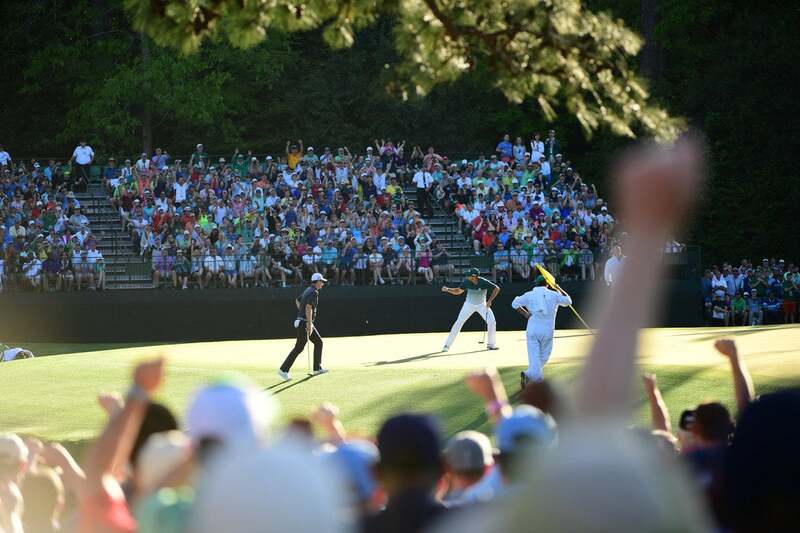 Justin Rose during the final round. 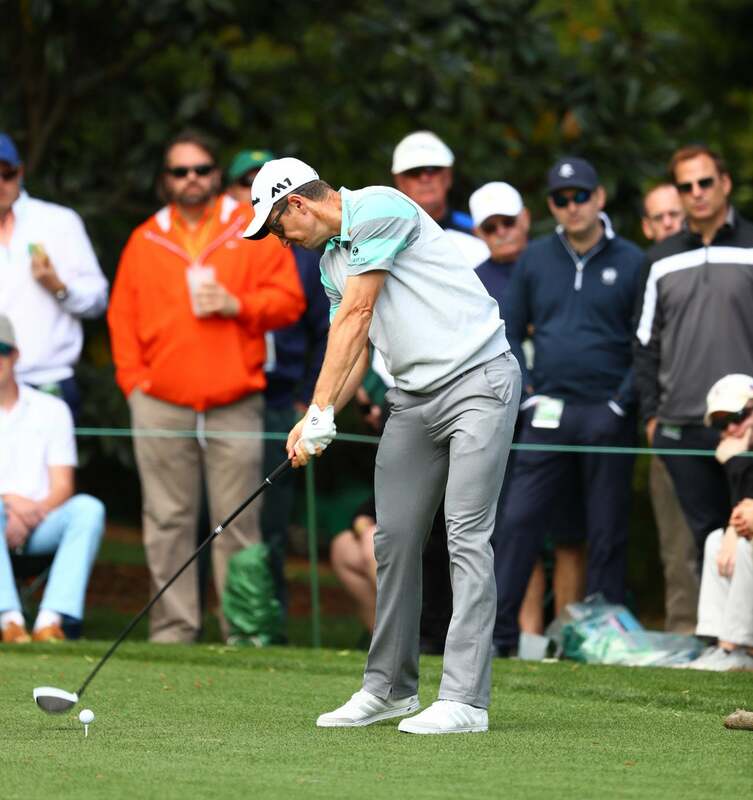 Sergio Garcia began the final round tied for the lead. 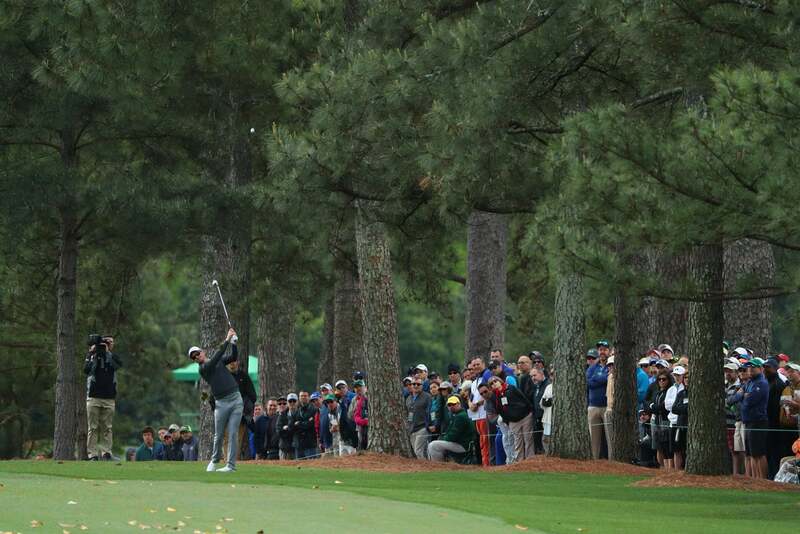 Rory McIlroy shot a three-under 69 on Sunday. 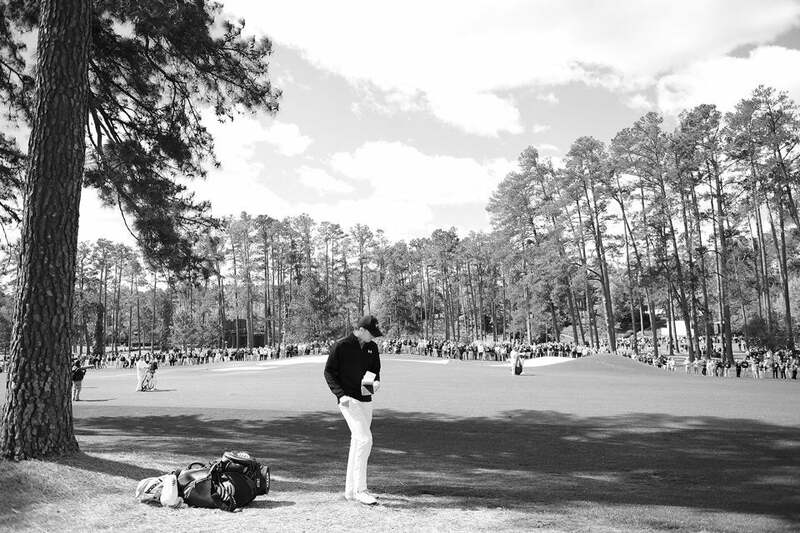 Rickie Fowler during the final round. 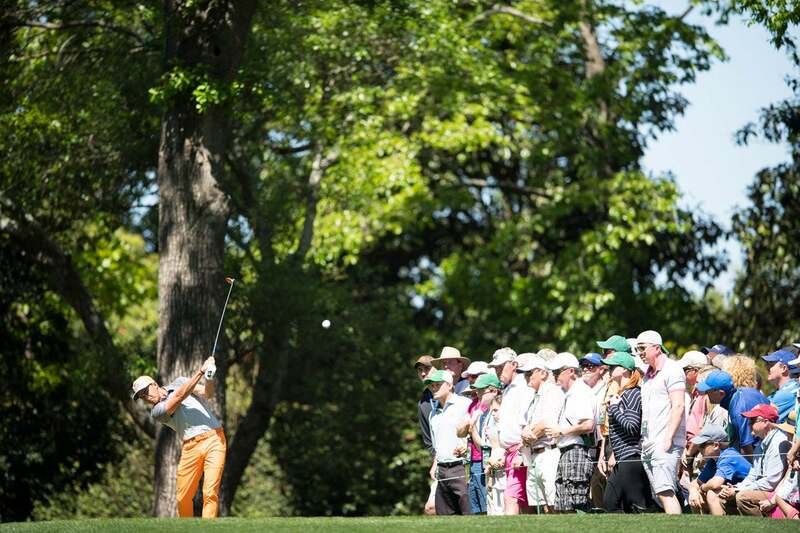 Rickie Fowler had high hopes heading into Sunday at Augusta National. 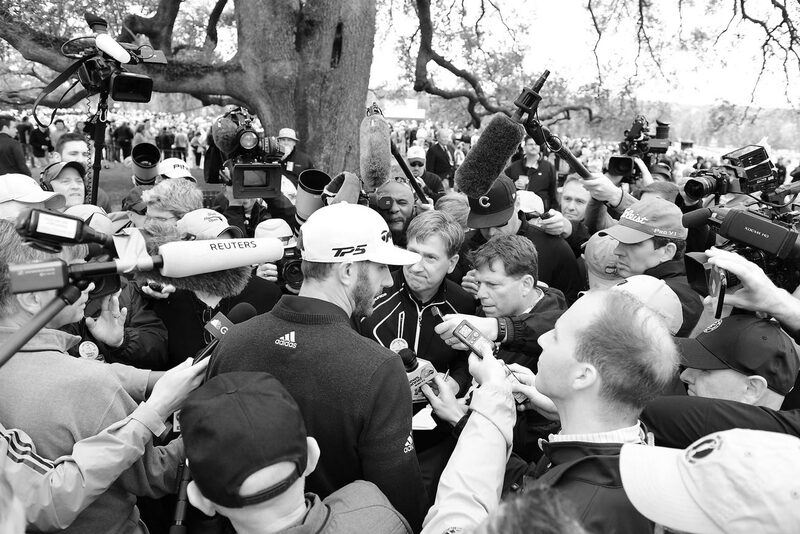 Jordan Spieth had a disappointing final round on Sunday. 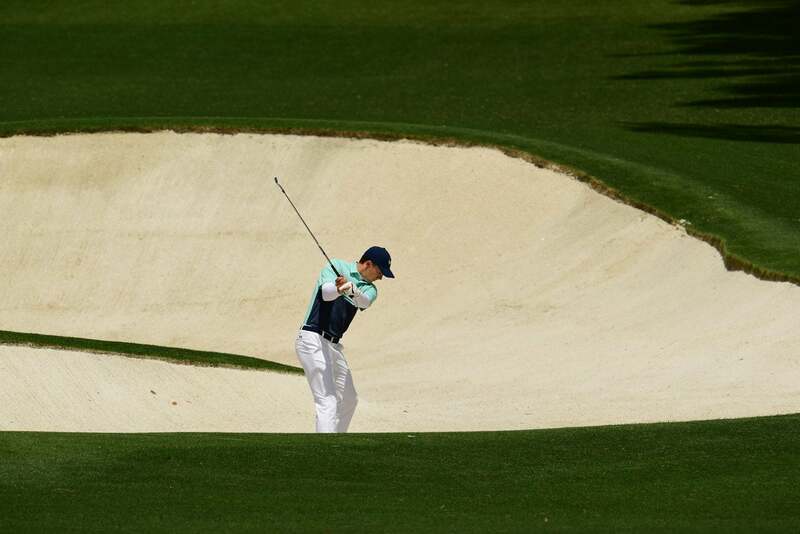 Jordan Spieth hits out of a bunker during the final round of the 2017 Masters. 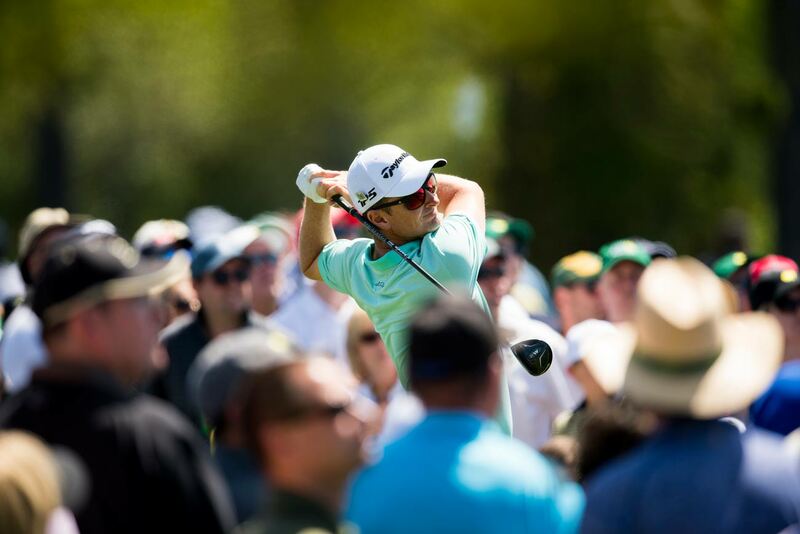 Adam Scott had a strong showing to start round 4, but late bogeys cost him. 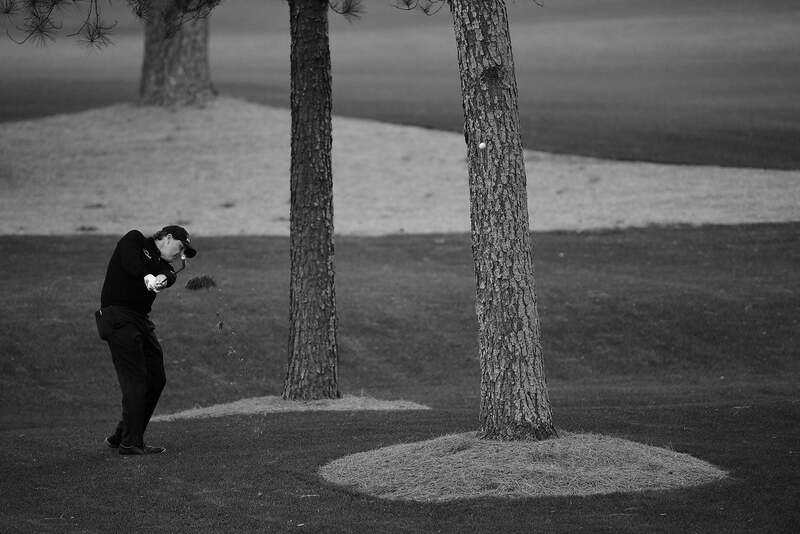 Ryan Moore during Sunday's final round. 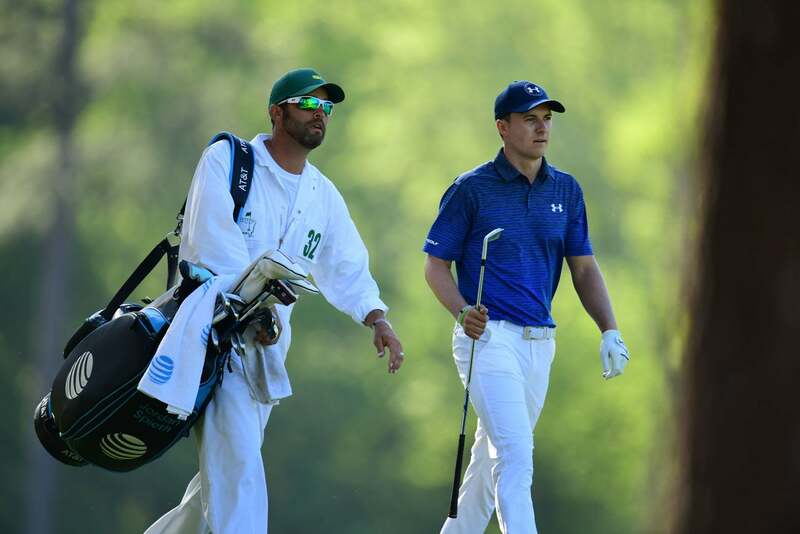 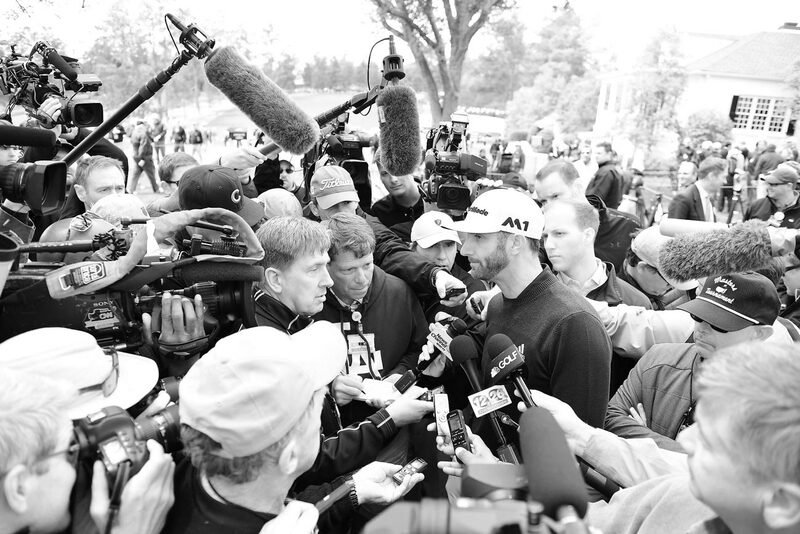 Jordan Spieth and caddie Michael Greller on Saturday. 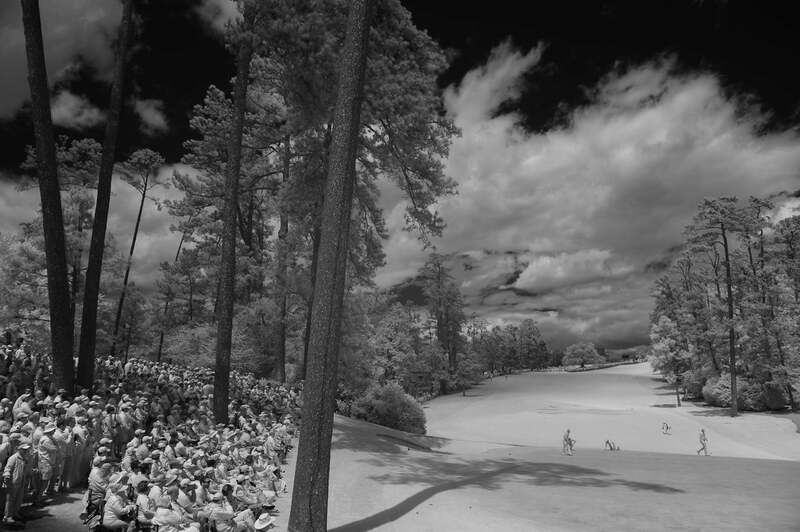 Justin Rose tries to get a view of the 7th green in the third round. 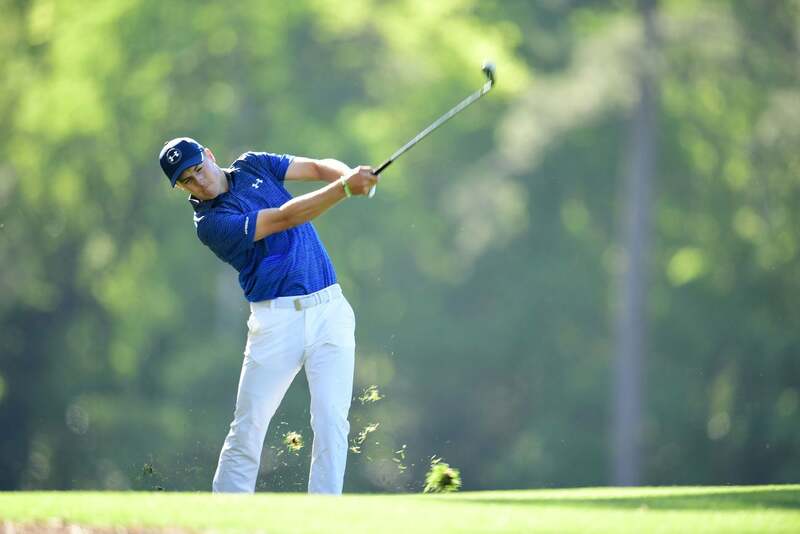 Jordan Spieth vaulted into contention with a four-under 68 in the third round. 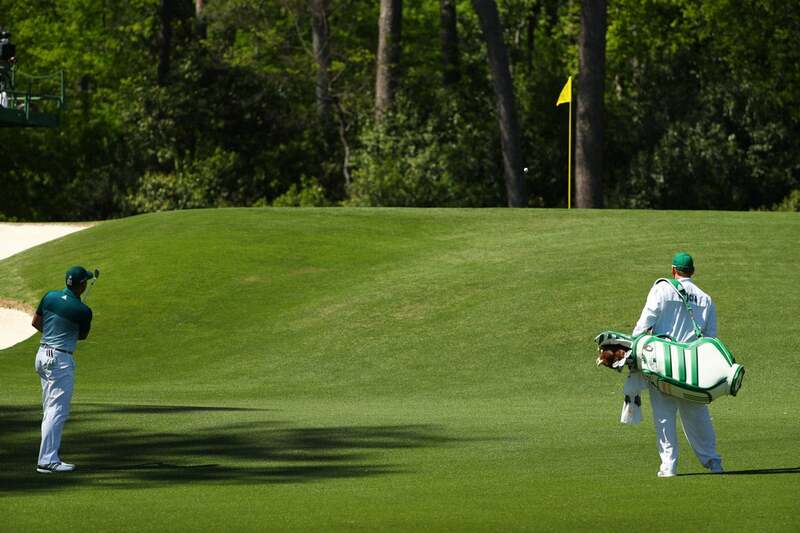 Sergio Garcia will be fighting for the Masters title on Sunday. 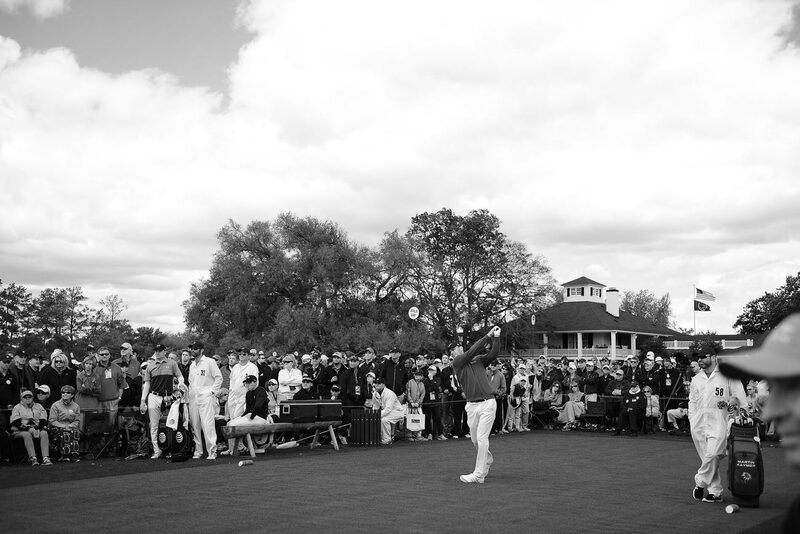 Fowler lines up a putt in the third round. 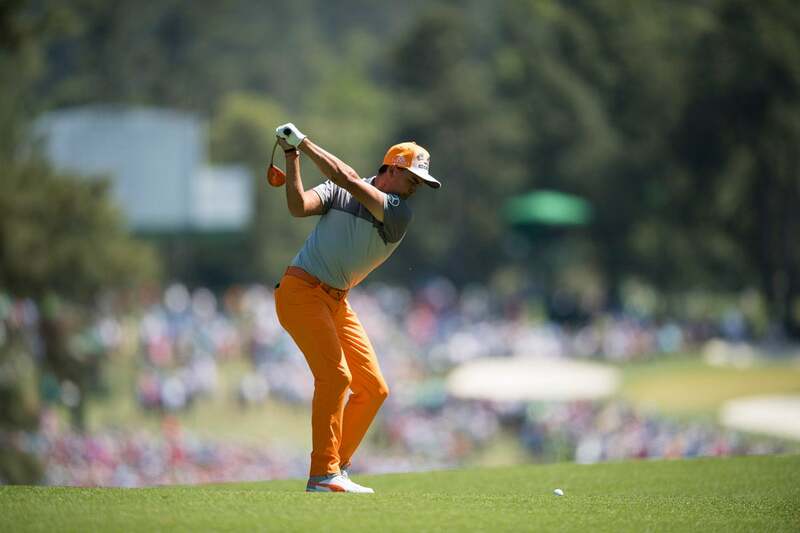 Rickie Fowler had a strong round on Saturday. 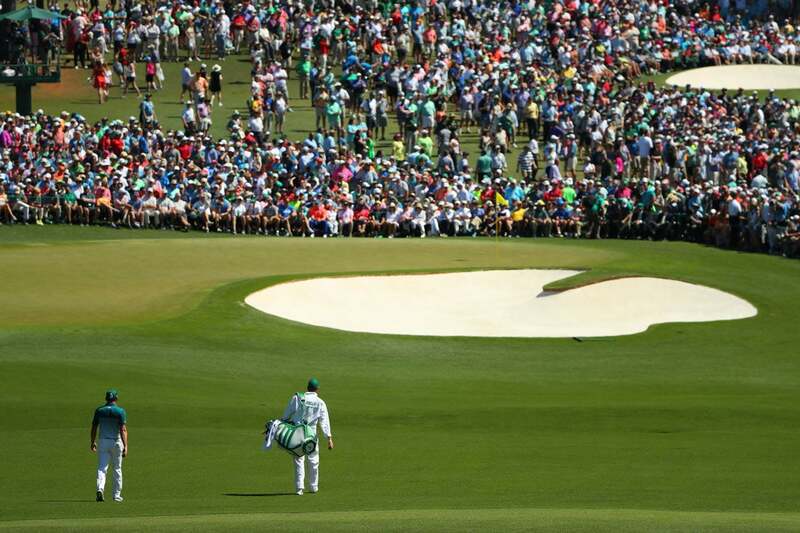 Rickie Fowler on the 7th hole. 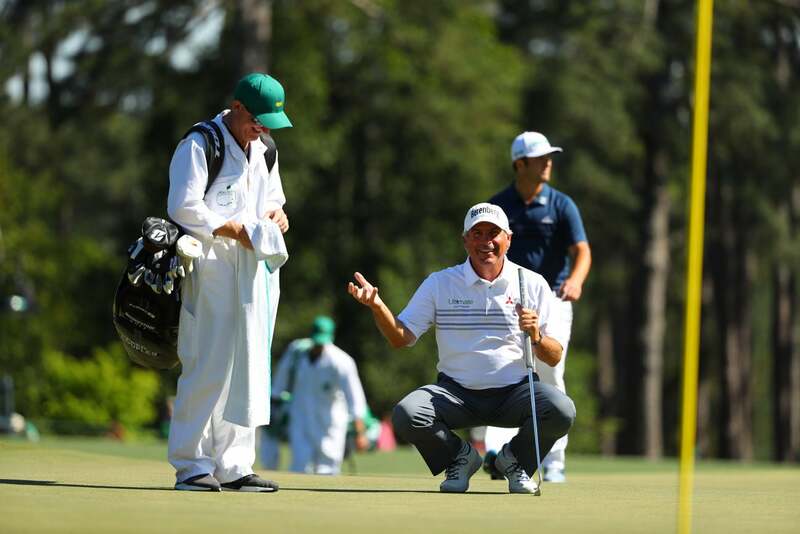 Fred Couples shot a two-over 74. 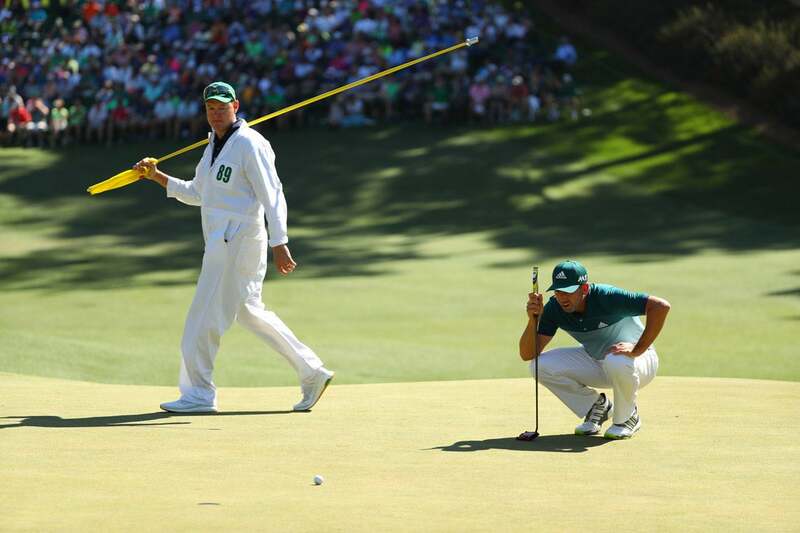 Fred Couples putts on the 7th hole on Saturday. 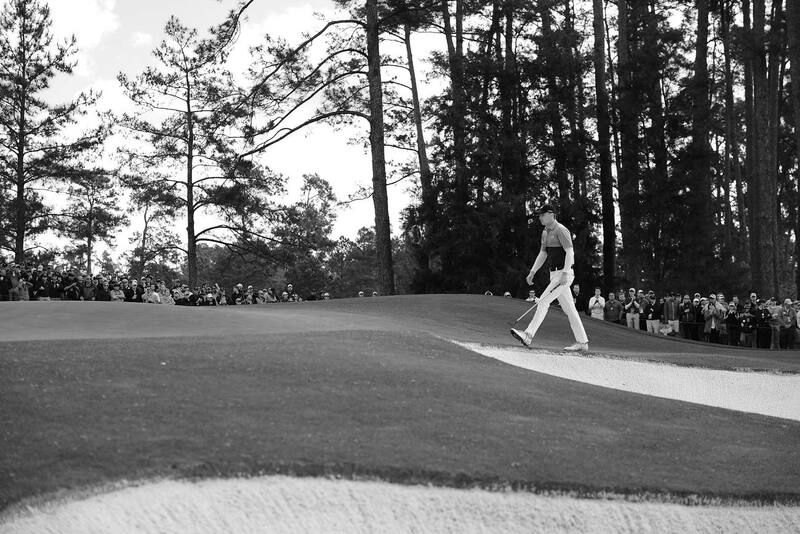 Justin Rose shot a five-under 67 on Saturday to rocket up the leaderboard. 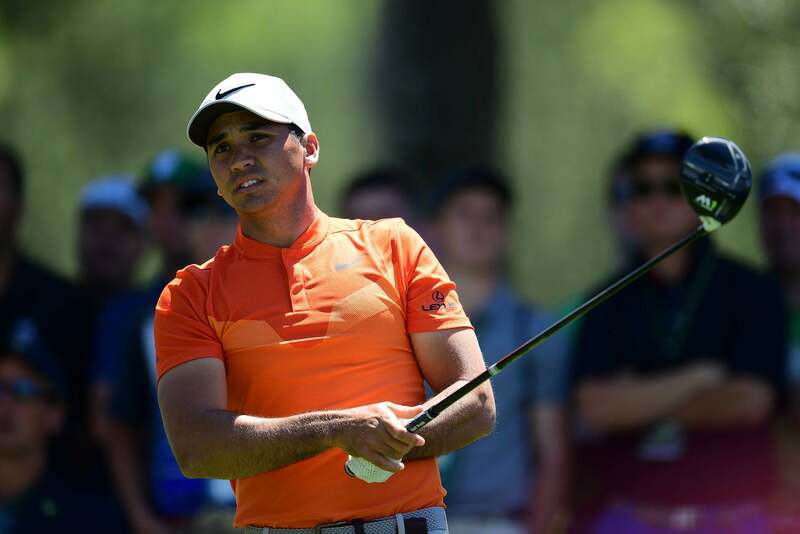 Jason Day fired a three-under 69 on Saturday. 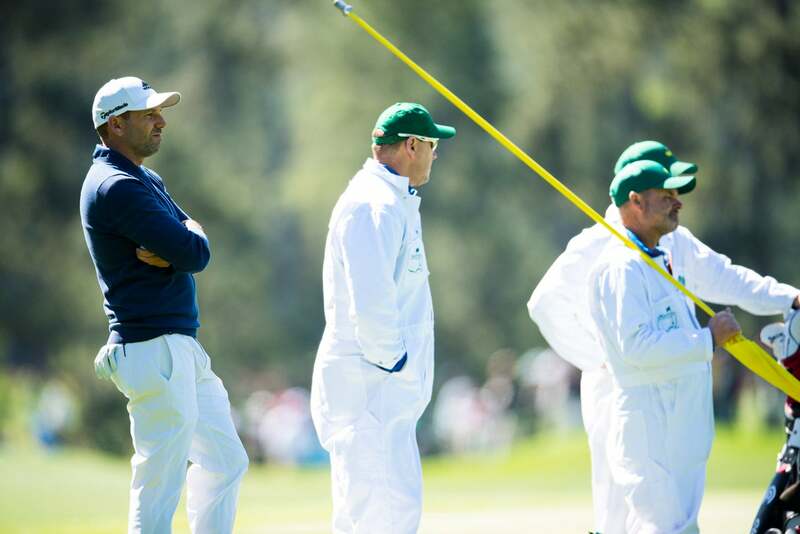 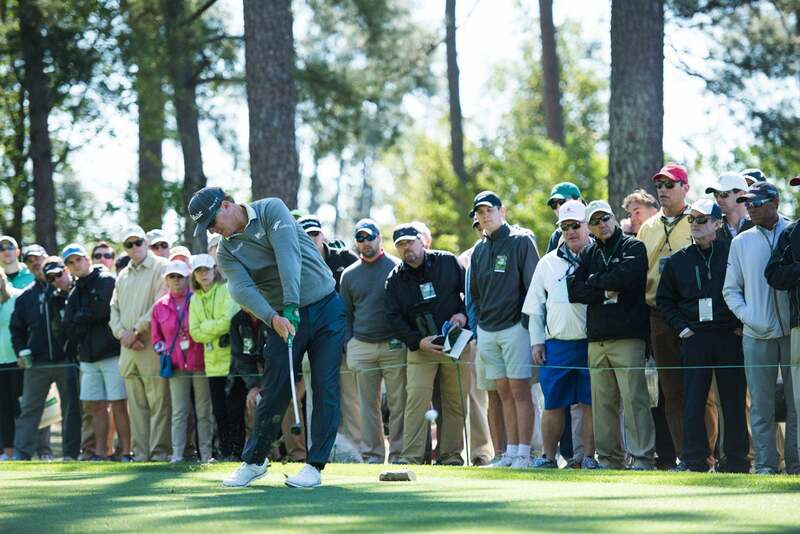 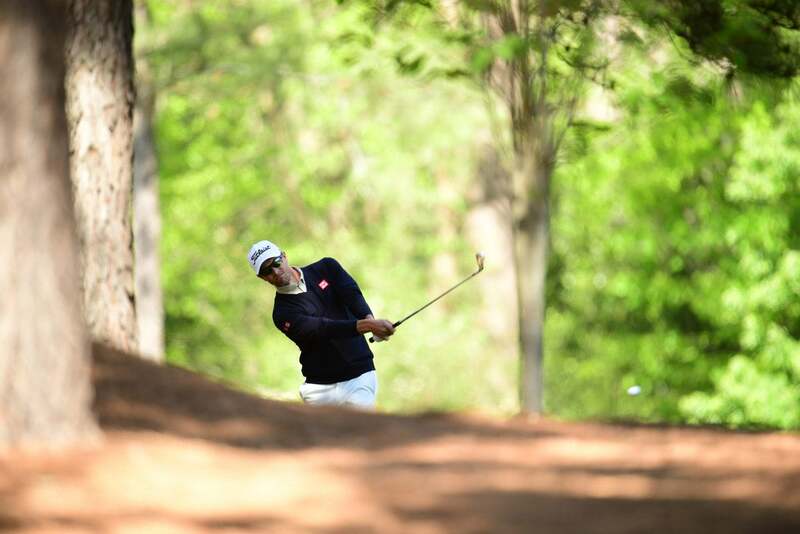 Masters member Jeff Knox played as a marker alongside Jason Day in the third round. 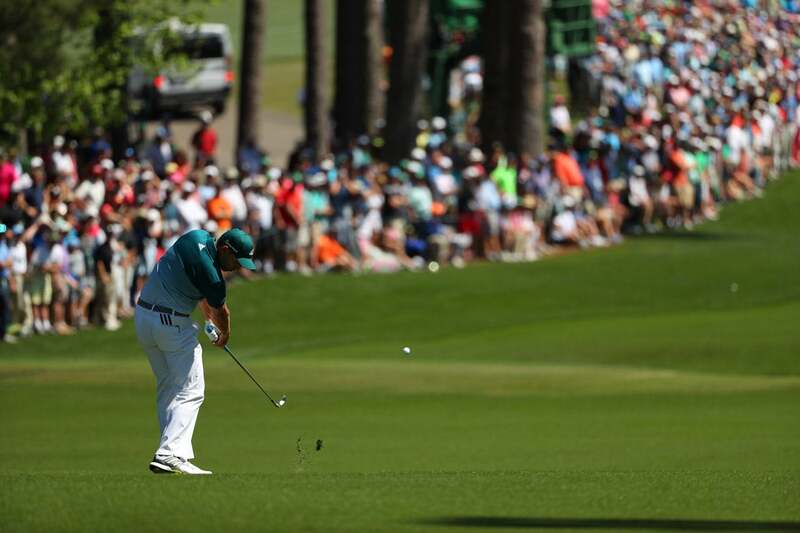 Sergio Garcia shot a three-under 69 on Friday during the second round of the Masters. 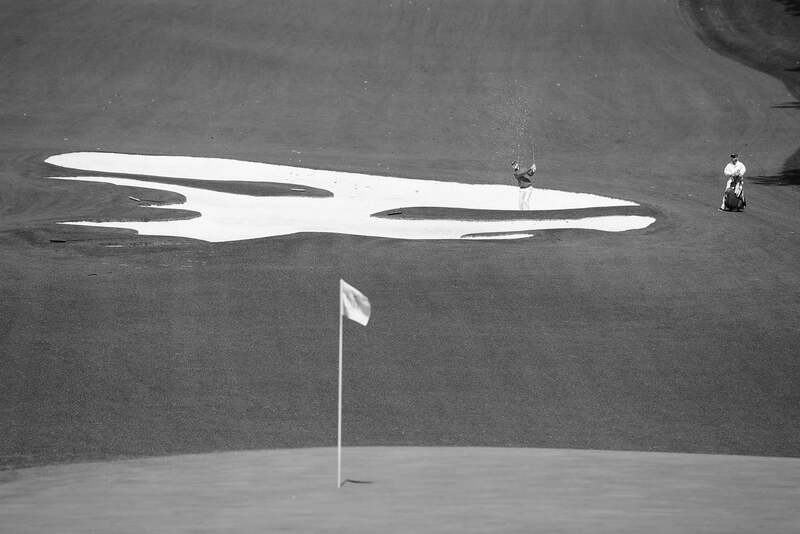 Charley Hoffman hits out of a bunker in round 3. 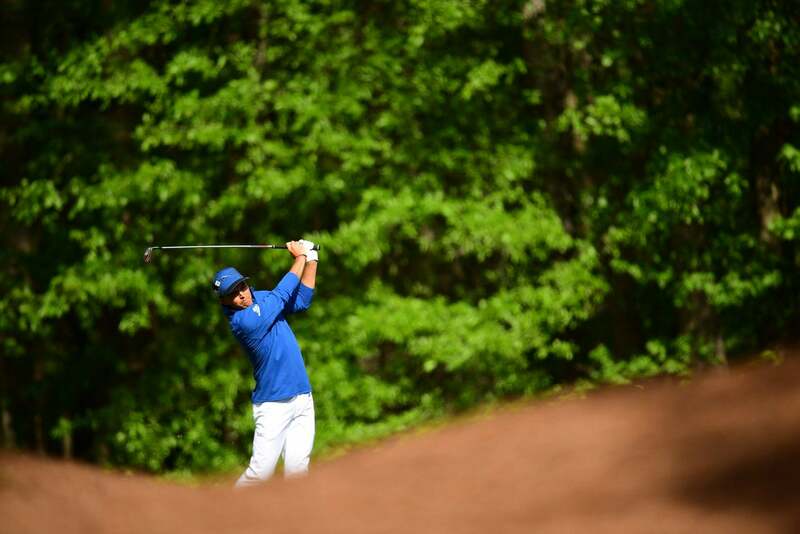 Sergio Garcia during the second round. 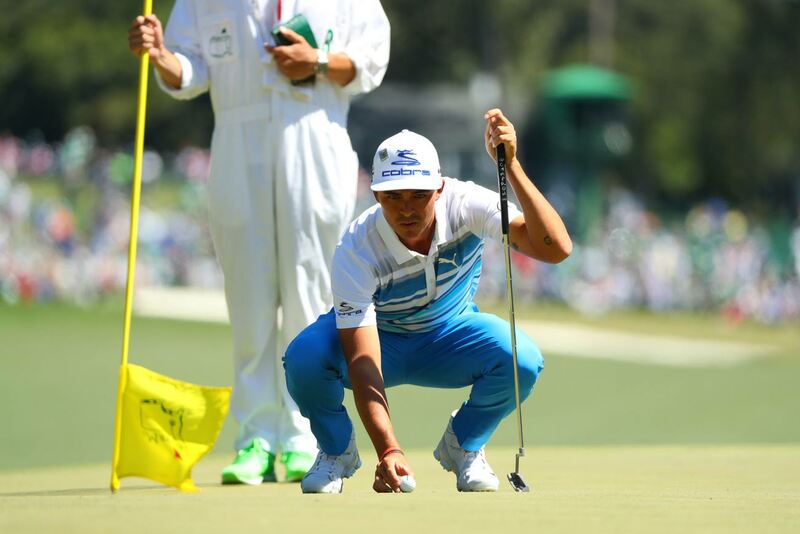 Rickie Fowler is in contention after a solid second round. 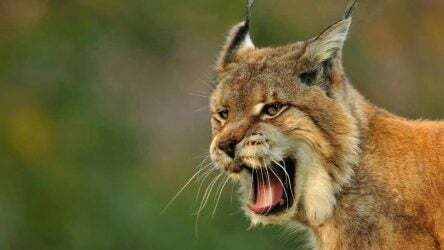 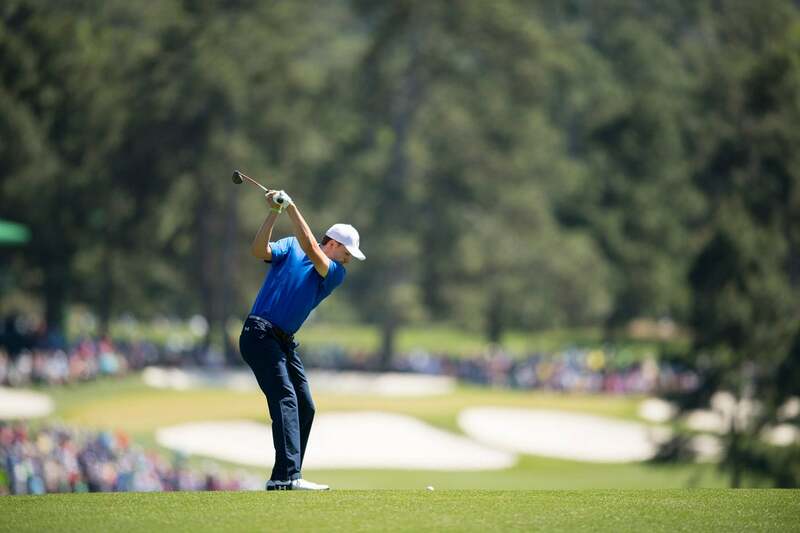 Jordan Spieth during the second round. 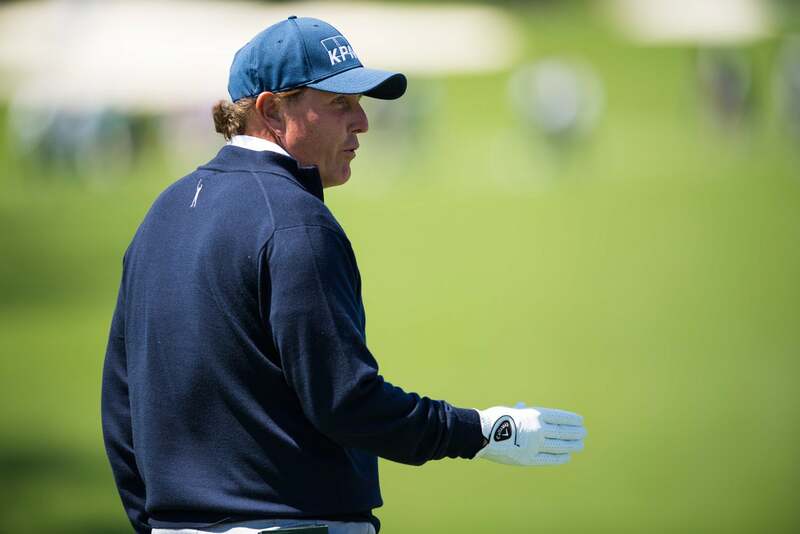 Phil Mickelson is also in contention after a good day Friday. 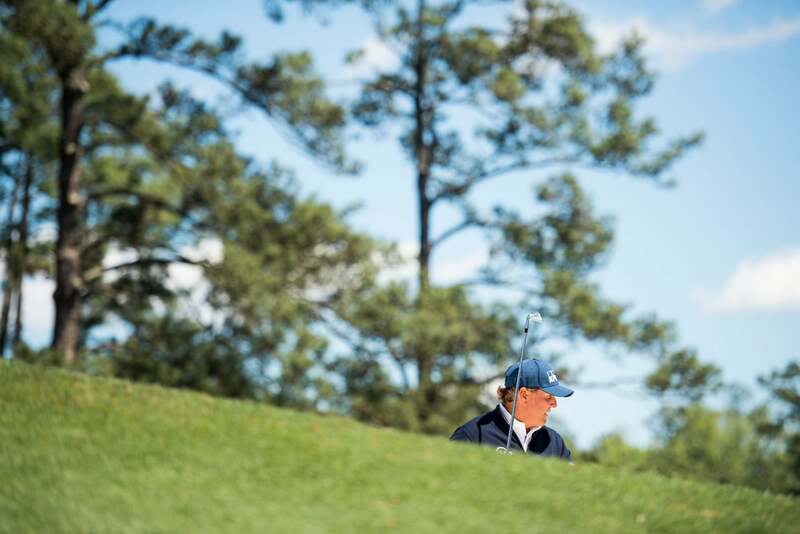 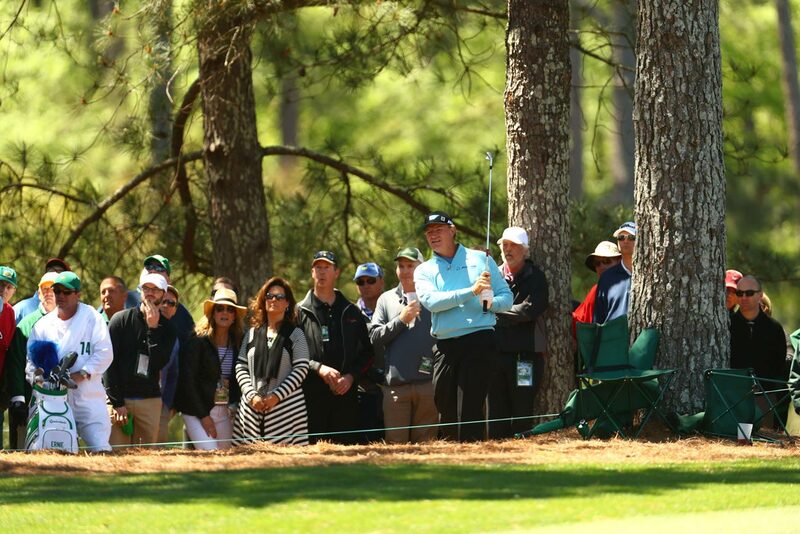 Phil Mickelson on Friday at Augusta National. 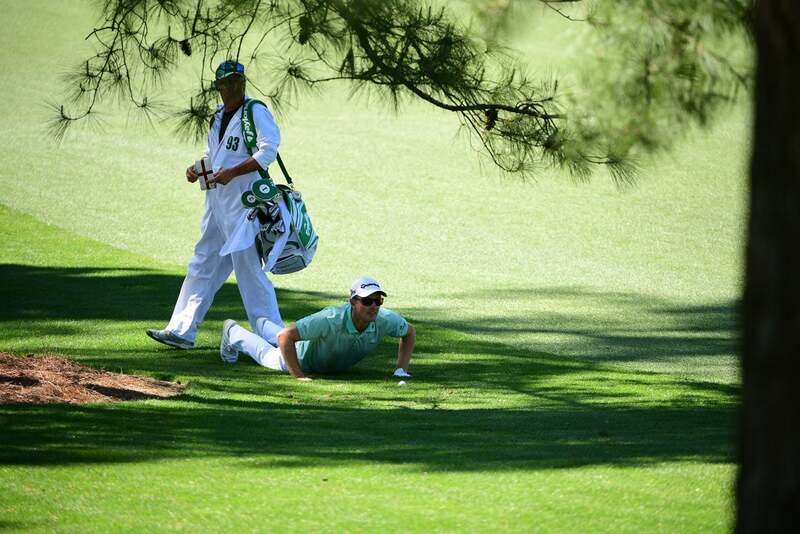 Adam Scott hits out of trouble during the second round. 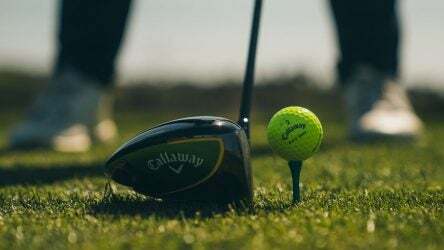 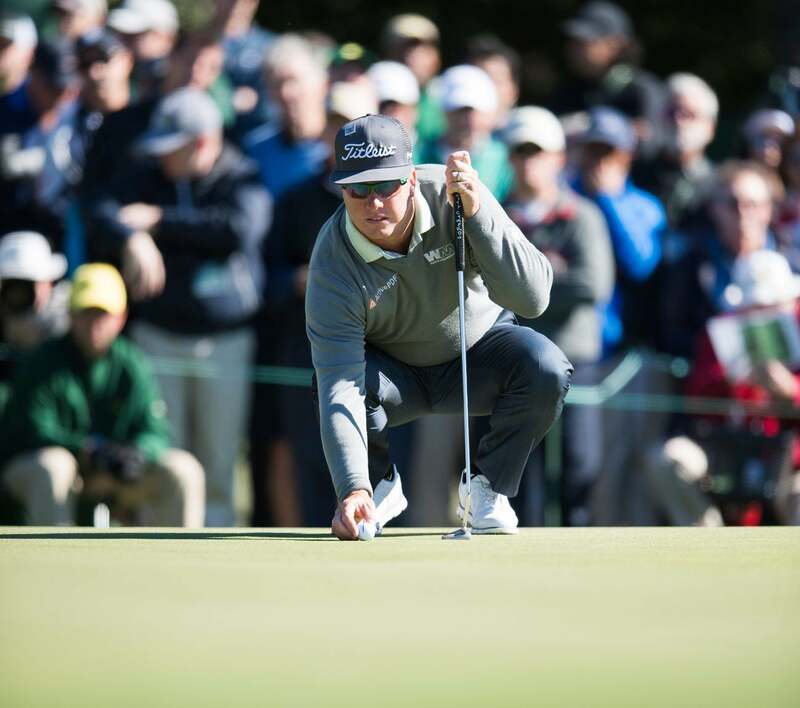 Charley Hoffman shot 75 in round 2. 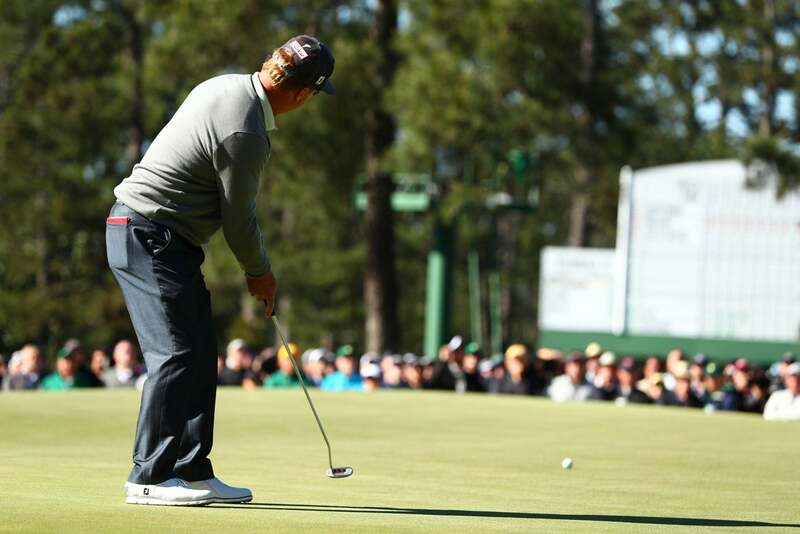 Charley Hoffman putts on Friday. 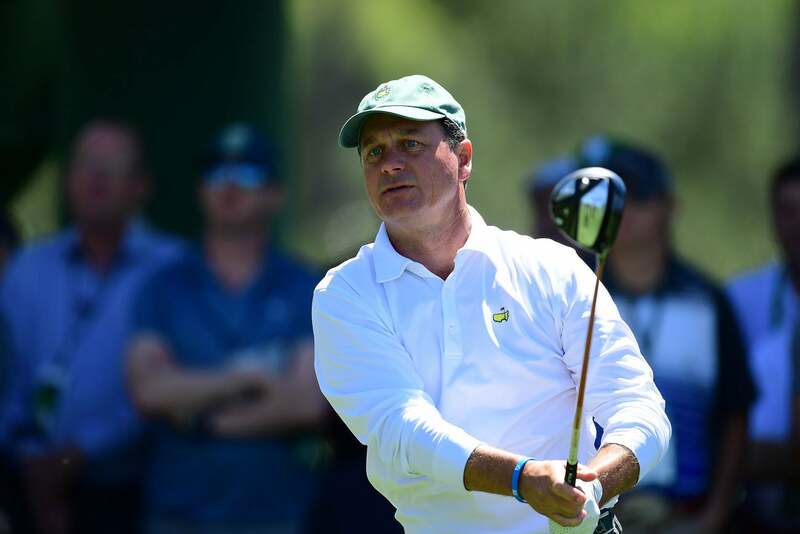 Ernie Els has never won the Masters. 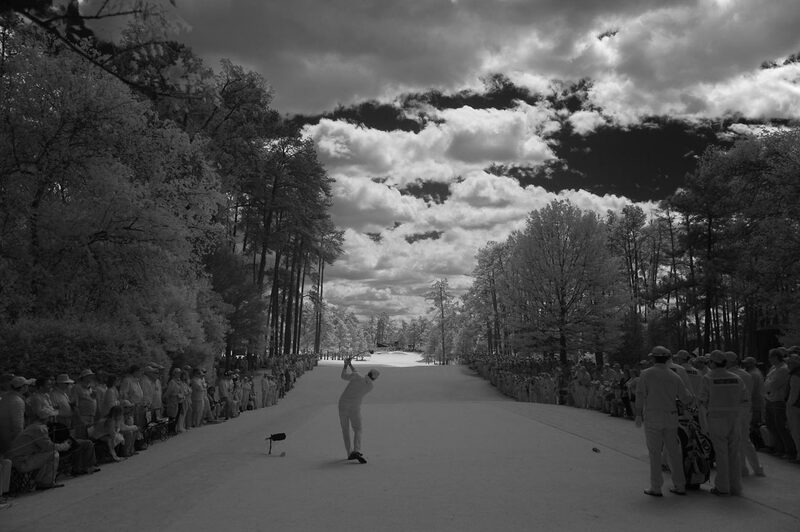 Mackenzie Hughes tees off during his second round. 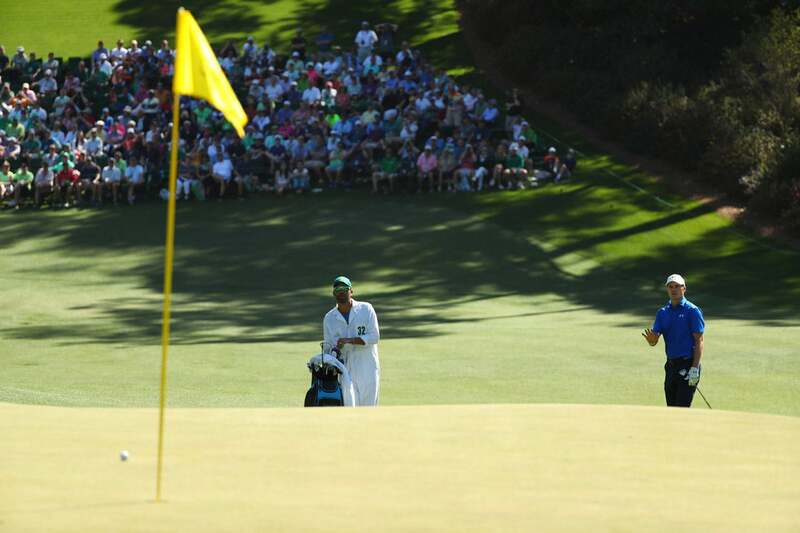 Chris Wood tries to get a look at the green during the second round. 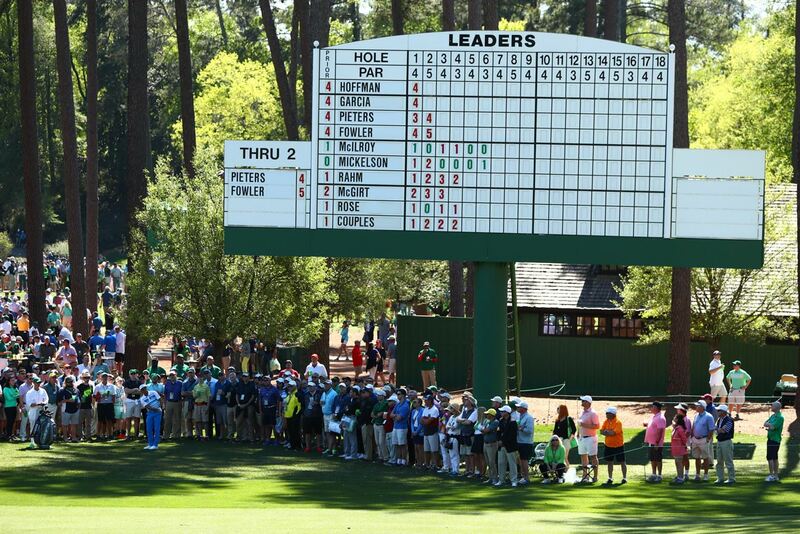 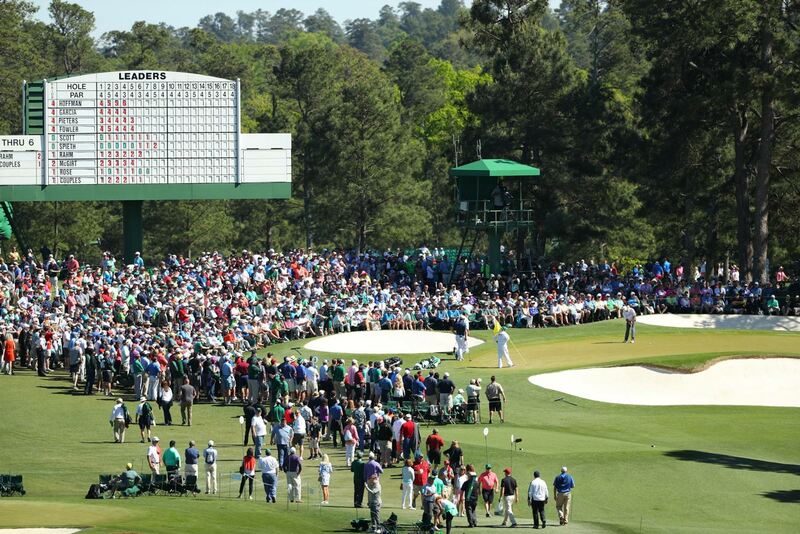 The 10th green at Augusta National on Thursday during the first round of the Masters. 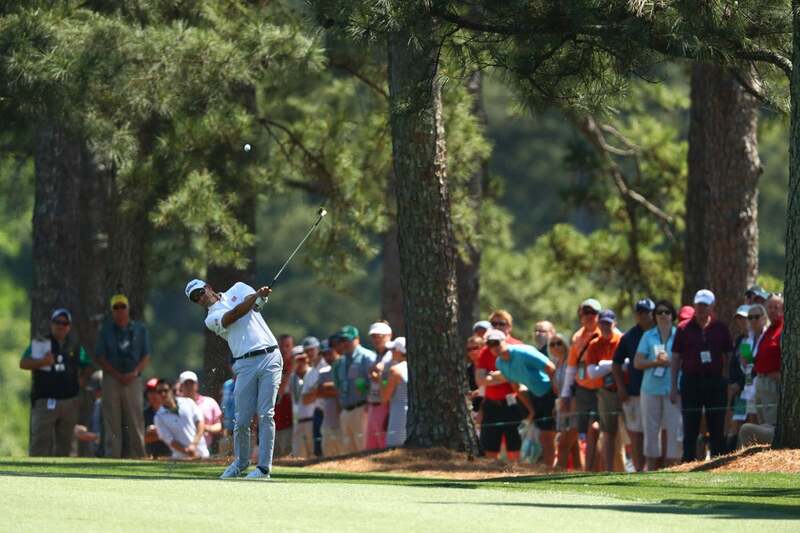 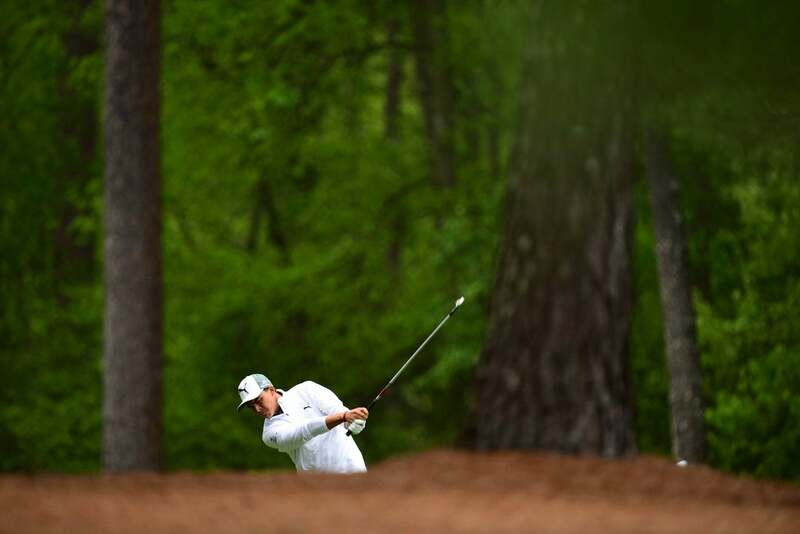 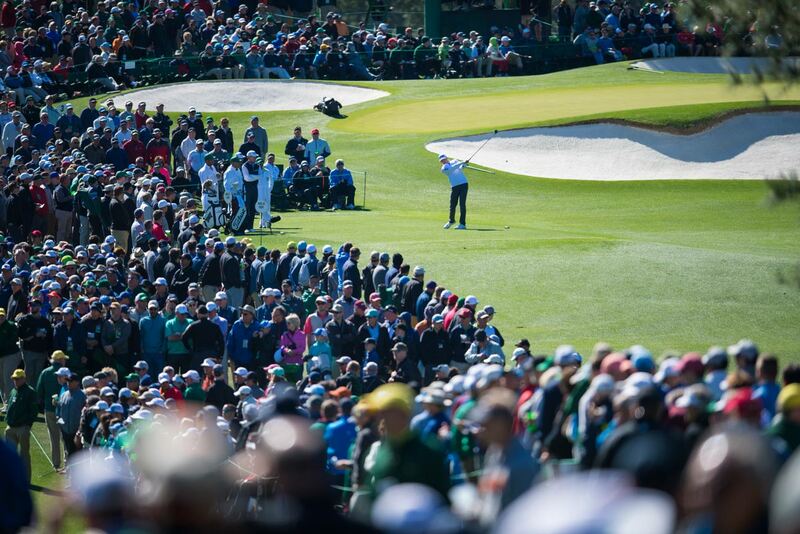 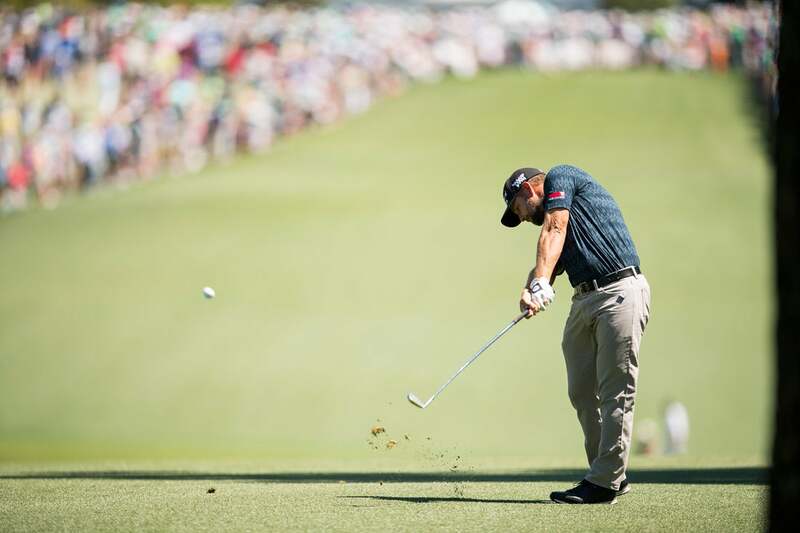 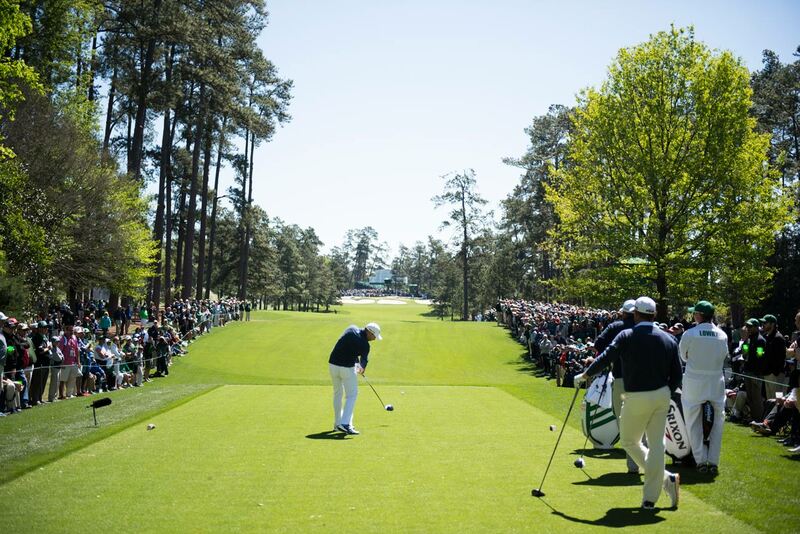 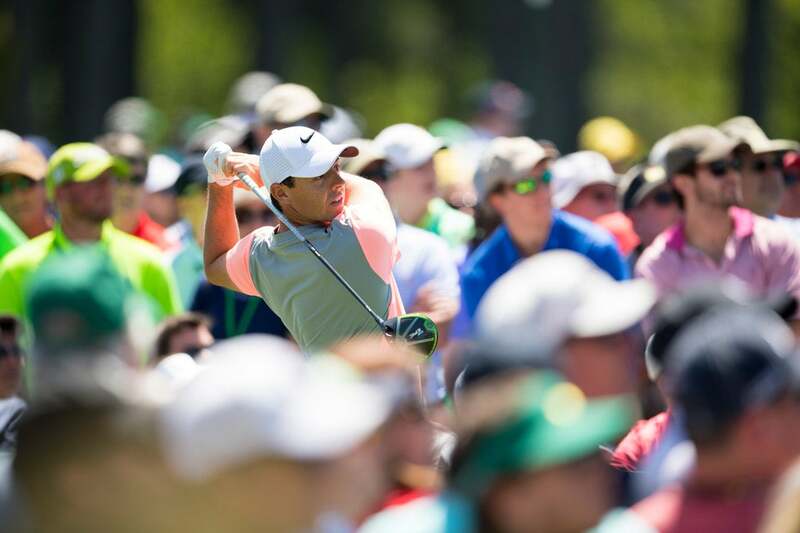 Rickie Fowler tees off on the 7th hole at Augusta National on Thursday. 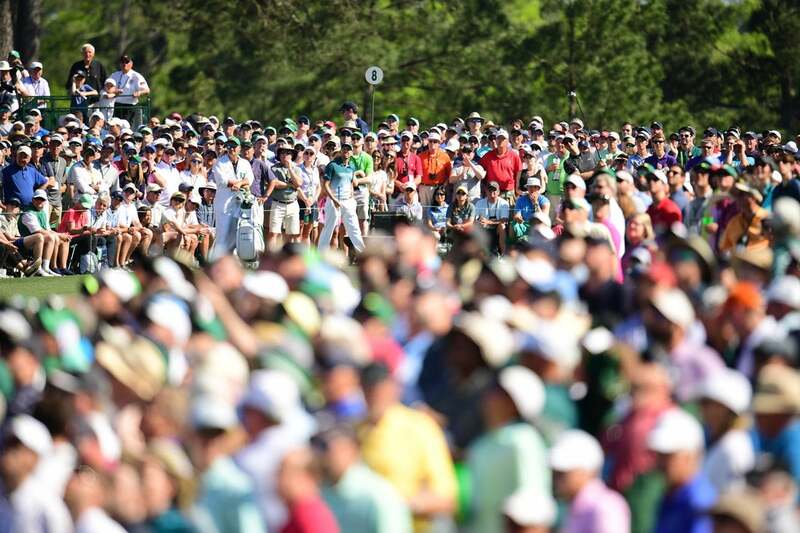 Jordan Spieth on the second hole during the first round. 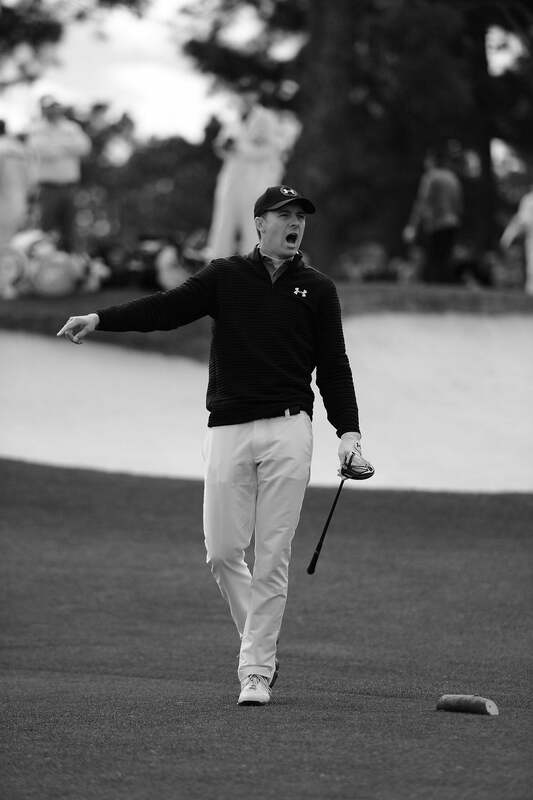 Jordan Spieth reacts to a shot on the second hole during the first round. 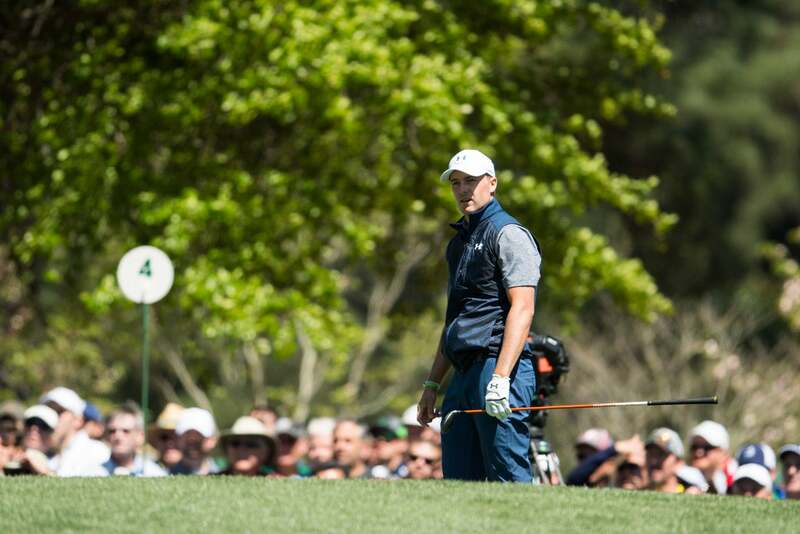 Jordan Spieth hits out of trouble during the first round. 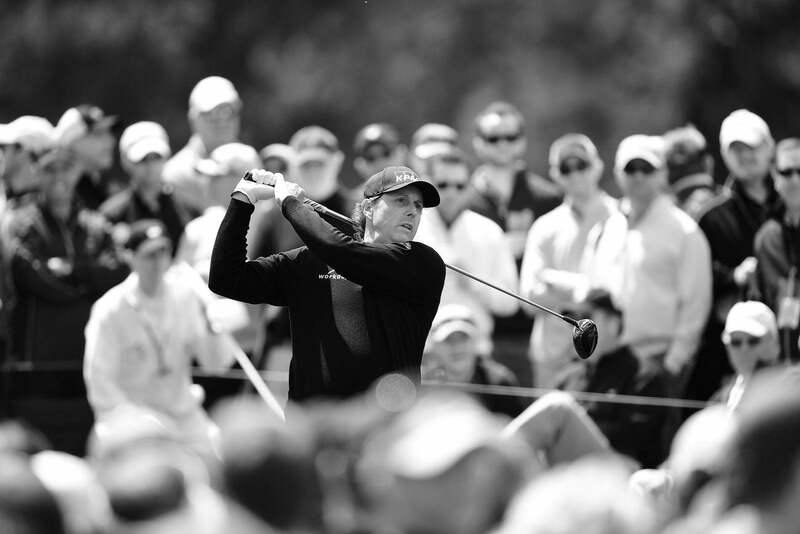 Phil Mickelson tees off to begin his opening round. 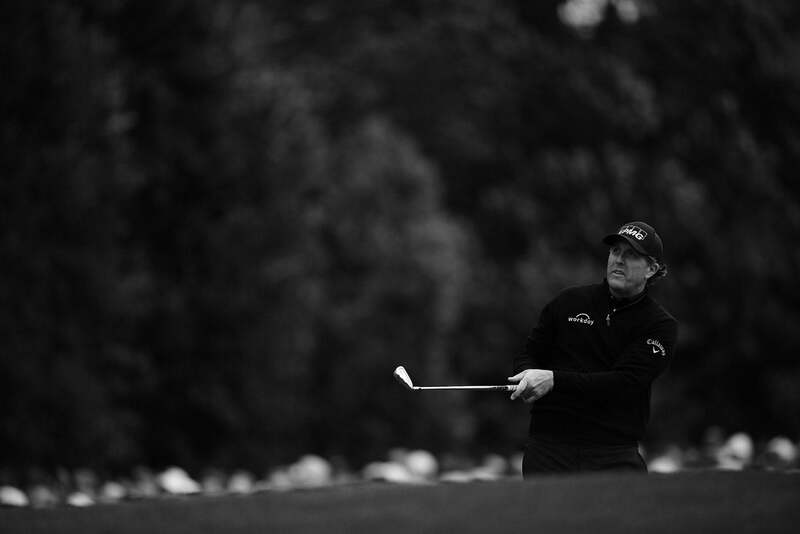 Phil Mickelson hits out of the rough. 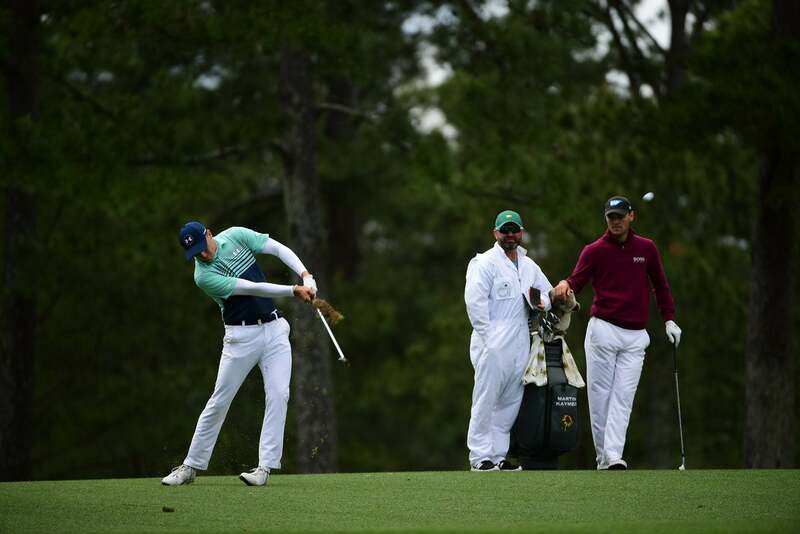 Martin Kaymer during the first round. 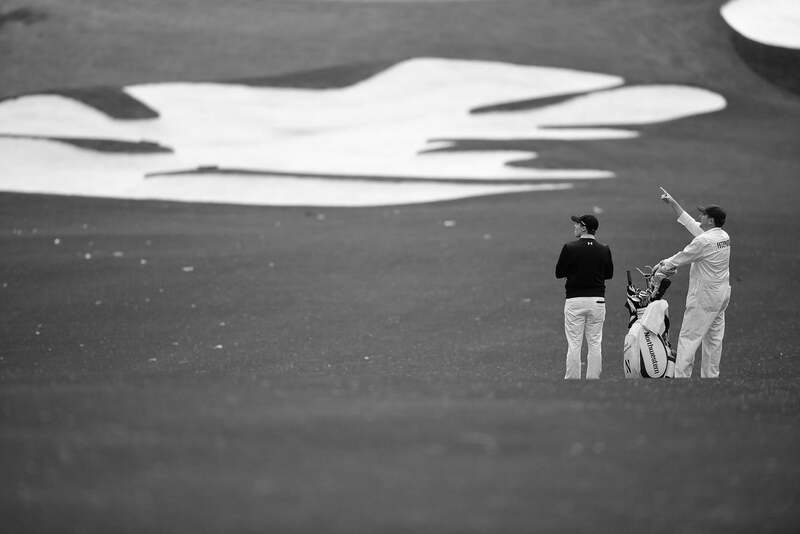 Matthew Fitzpatrick talks to his caddie on Thursday. 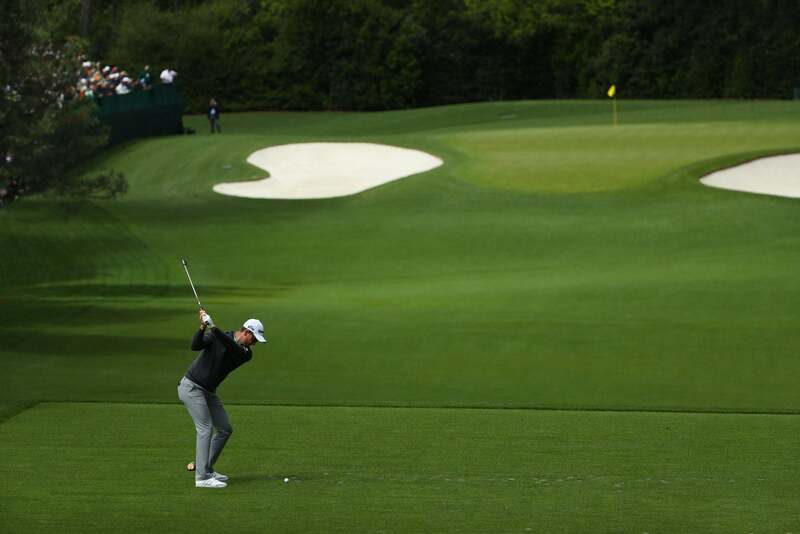 Justin Rose hits a tee shot during the opening round. 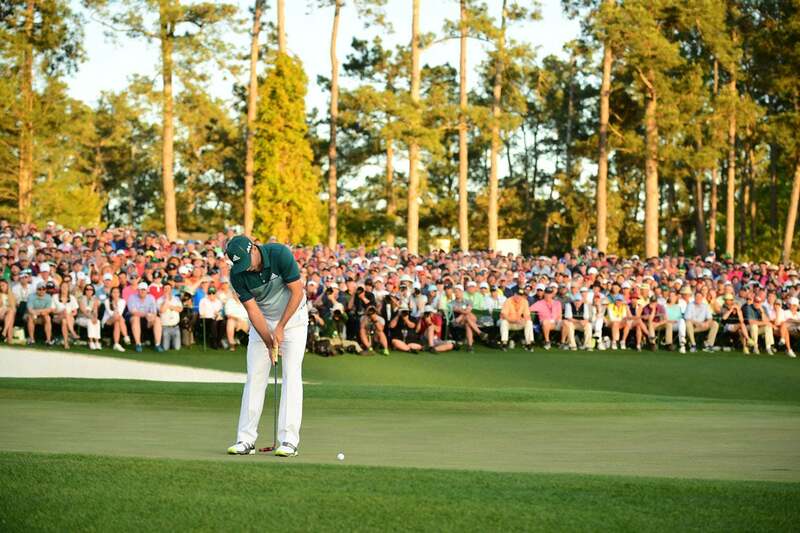 Justin Rose taps in a short putt during the first round. 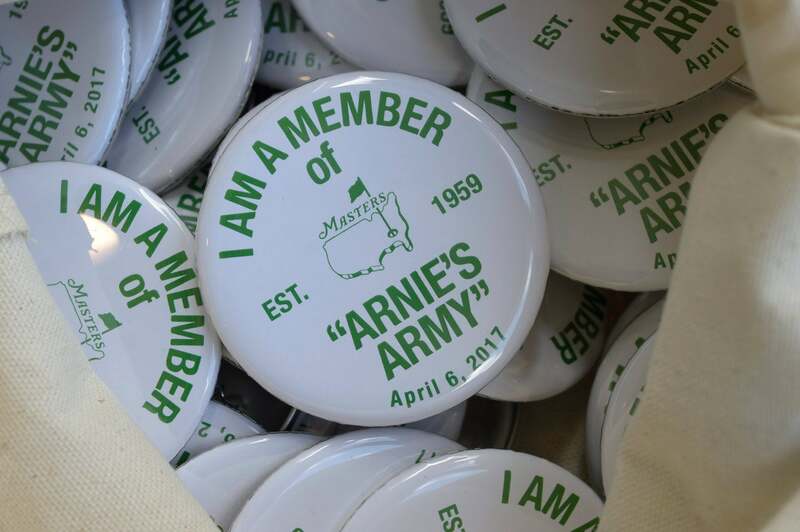 'Arnie's Army' pins honoring Arnold Palmer were handed out Thursday at Augusta National. 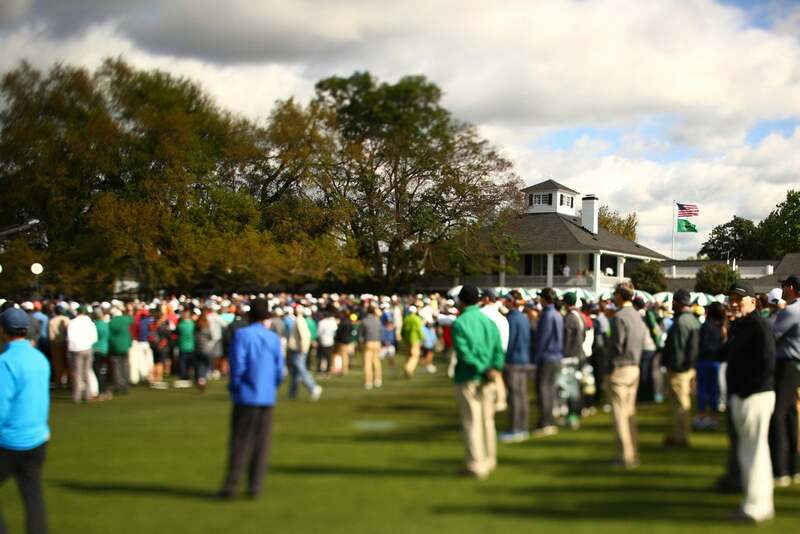 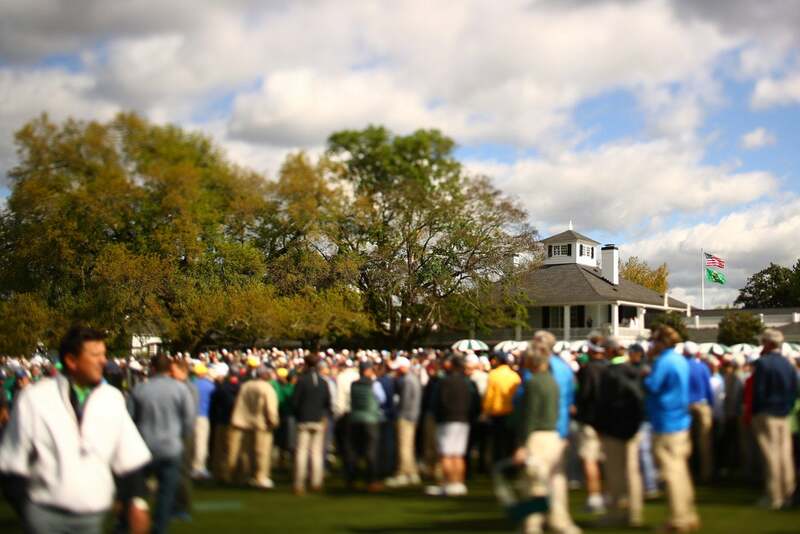 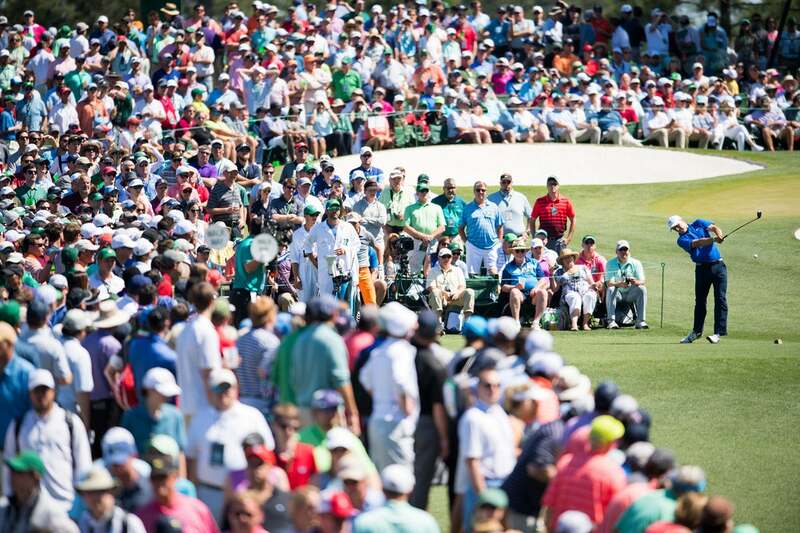 A crowd gathers on Thursday with the Augusta National clubhouse in the background. 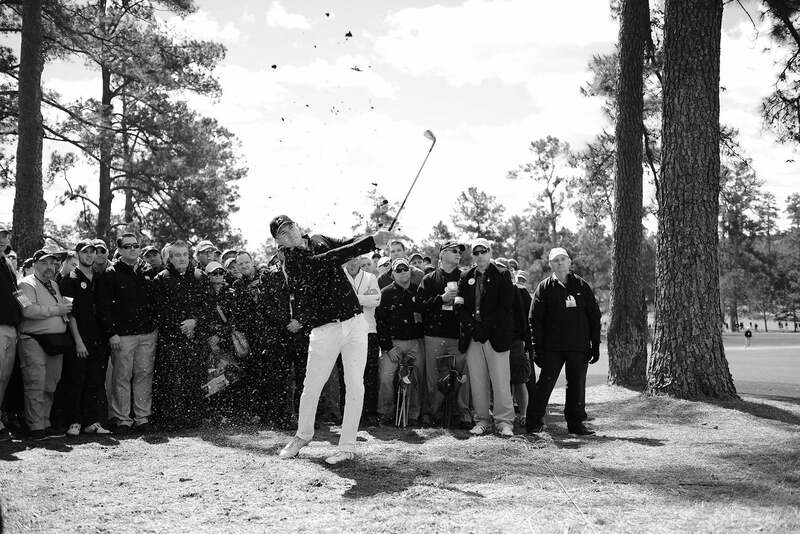 Jordan Spieth hits an iron shot during the first round. 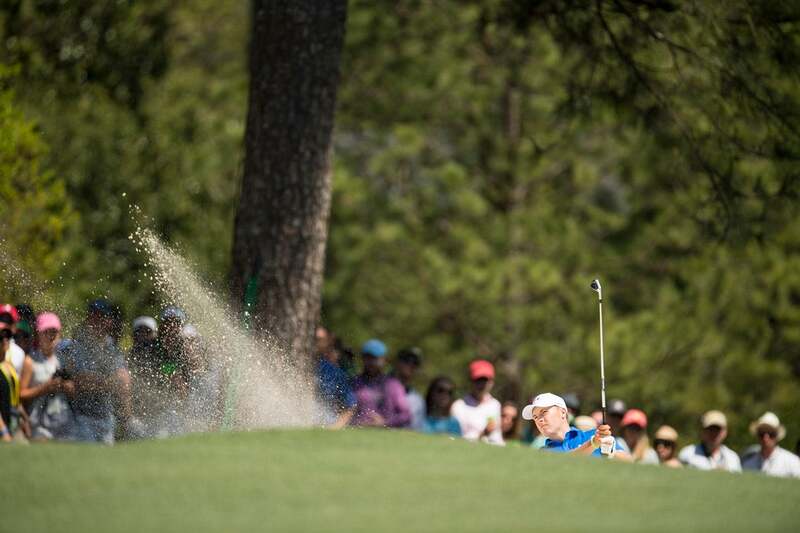 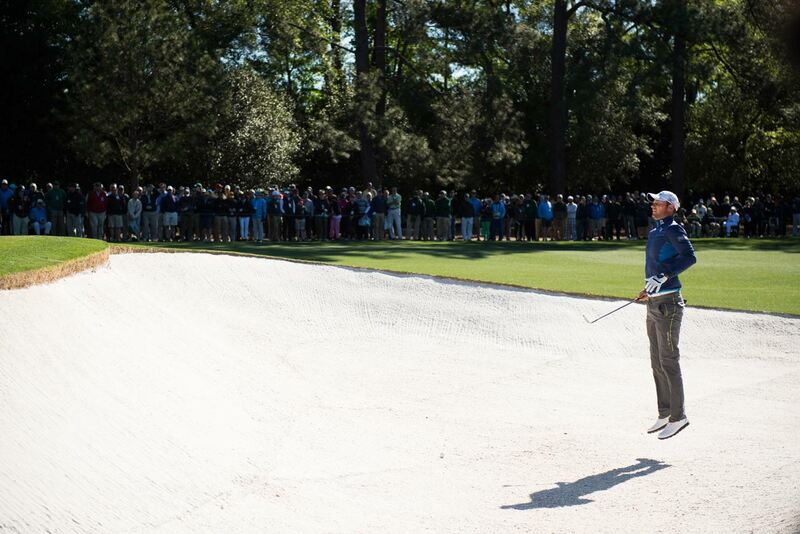 Jordan Spieth hits out of a large bunker at Augusta National during the first round. 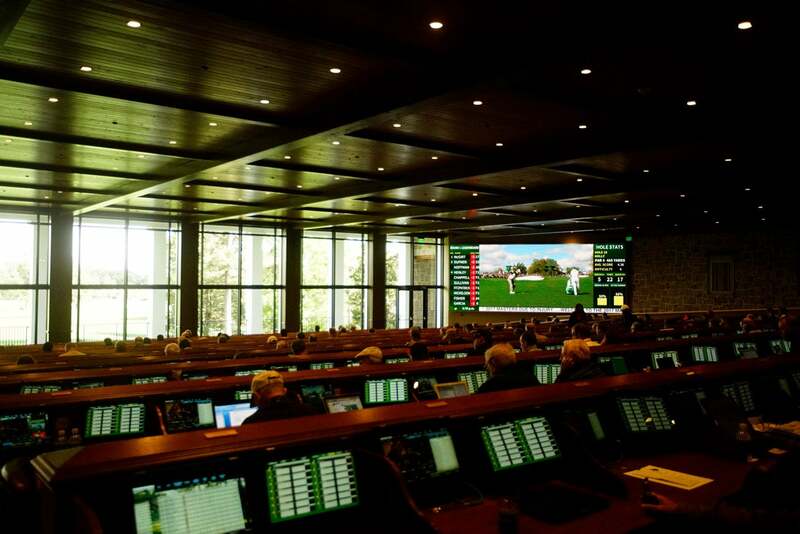 The new media complex at Augusta National.